Approximately 84% of symptomatic VCFs classically present with midline back pain. In addition, 80% of patients also reported referred pain to the ribs, hips, groin, or buttocks.6 Weakness and neurologic symptoms may also be present at or below the site of fracture, depending upon the severity and extent of compression, from effacement of the neural foramen and central spinal canal. These symptomatic presentations, which are considered to be the more severe form of VCFs, are often associated with decreased functional status, quality of life, mobility, and increased dependence on analgesics and narcotics, morbidity, and mortality.7 Pain and pain-related sequelae associated with VCFs are thought to arise from disruption and irritation of the periosteum from compressive forces on the collapsed vertebral body. In less severe cases, particularly in elderly patients with severe osteoporosis, spontaneous VCFs can occur without any pain. Regardless, both symptomatic and asymptomatic VCFs can be associated with increased morbidity arising from altered biomechanics of ambulation, loss of normal spinal curvature with progressive scoliosis, and, in severe cases, impaired respiratory function arising from exaggerated thoracic kyphosis. Pathologic VCFs often present with the same symptoms in conjunction with systemic manifestations of their underlying malignancy, including night sweats, unexplained fevers and weight loss, and diffuse bone pain in cases of systemic osseous metastatic disease. Patients suffering from VCFs are typically referred though either a primary care provider or specialist to an experienced proceduralist. Patients are screened during a focused history and physical exam for criteria including a) the presence of an acute to subacute fracture (1 week to 2 years in age) as determined using clinical history and radiographic imaging; b) localizing pain with overlying tenderness that correlates with imaging; c) axial non-radiating pain; d) ineffectiveness of conservative therapies that include bed rest, analgesics, and bracing; and e) a fracture that results in a reduction of activities of daily living. 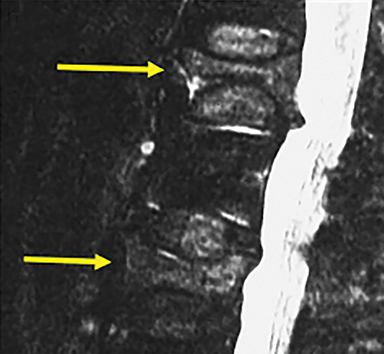 Radiographic evaluation of focal back pain suspicious for VCF should begin with plain film radiographs in conjunction with MRI in order to ascertain the relative age of the fracture (Figure 3). For patients who either cannot tolerate MRI (body habitus or claustrophobia) or for which MRI cannot be performed due to technical contraindications (e.g. 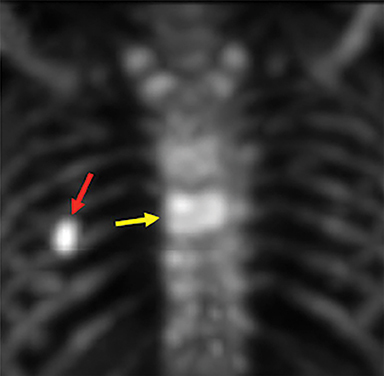 MR incompatible device such as a pacemaker, defibrillator, aneurysm clip), CT in conjunction with bone scan examination can serve as viable imaging alternative (Figure 4). Further, in severely osteoporotic patients, or for those with concomitant osteopenia/osteoporosis and trauma, CT is often obtained in conjunction with MRI as it is more sensitive than conventional radiographs in the detection of these more subtle VCFs in the setting of decreased bone density. Although minor methodologic derivations exist, the key elements of the vertebroplasty procedure are outlined below.12 After acquiring informed consent, the patient is placed in the prone position in the procedure room and continuously monitored (pain, physiology) by the operator and trained support staff. Pain management usually consists of local anesthesia administered by the operator (described below) in conjunction with conscious sedation that is administered by certified support staff; general anesthesia is only used rarely in cases where conscious sedation is contraindicated or where generalized anesthesia would confer more favorable outcomes. Using either biplanar or CT fluoroscopy, the anatomy and relative positioning of the affected spinal levels are assessed and pre-procedural adjustments are made to the imaging angles to optimize the percutaneous surgical approach. 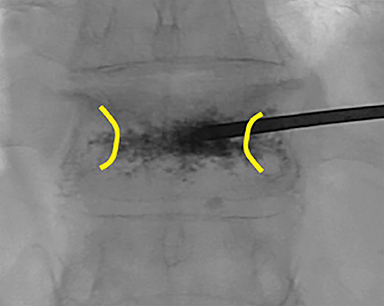 Following administration of subcutaneous and periosteal anesthesia, a coaxial needle introducer is subsequently guided down to the periosteum using fluoroscopy (Figure 5); typically 11-gauge coaxial needles are used in the lumbar spine while 13-gauge coaxial needles are used in the thoracic spine. 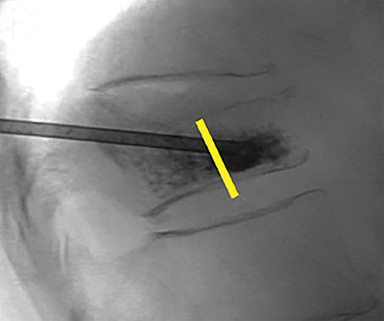 Using the standard transpedicular or peripedicular approaches, the needle is targeted so as to traverse the middle of the trabecular bone of the pedicle, taking special care to avoid breaching the bony cortex of the spinal canal, neural foramen (Figure 6). 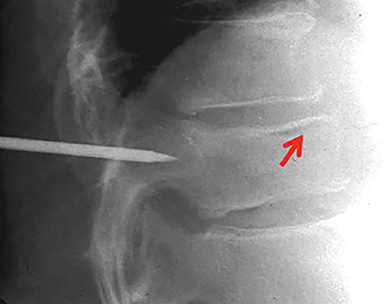 The needle is then advanced until it terminates near the center of the vertebral body, no more than one half to two-thirds of the anterior-posterior (AP) dimension of the vertebral body, taking care to avoid breaching the ventral vertebral body cortex into the overlying anterior external venous plexus (Figure 7). 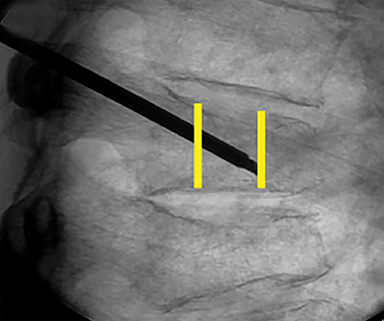 Final needle positioning is confirmed and documented with fluoroscopy. Subsequently, PMMA is activated with catalyst, mixed to a toothpaste-like consistency with a workable life of 10-12 minutes, and slowly injected into the vertebral body via the coaxial needle (Figure 8). Cement injection is continuously monitored under fluoroscopy to assess the spread of the cement and extraosseous cement extravasation. Cement injection volumes vary with the size of the compressed vertebral body and typically range from 1-4 cc with a median injection volume of 2 cc per vertebral body. 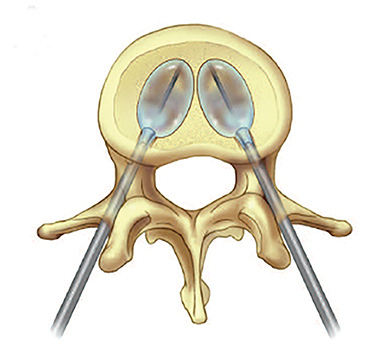 Typical endpoints of the procedure include cement flow to the medial aspect of the contralateral pedicle and extension into the disc space, epidural space, or epidural veins. 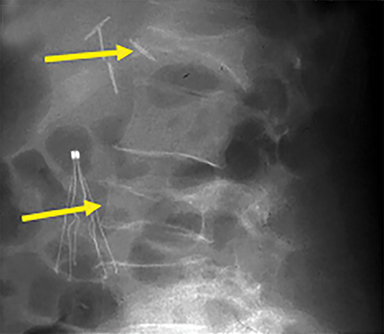 In cases where injected cement fails to spread into the contralateral body and pedicle, cement distribution can be optimized though needle repositioning or by use of bilateral or curved coaxial needles (Figure 9). 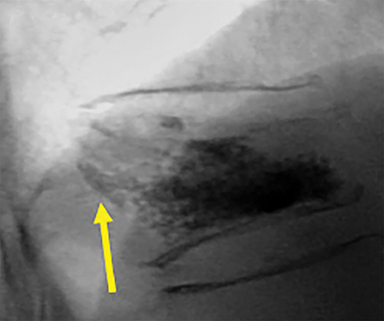 In cases where minimal early cement extravasation is observed, the initial cement injection can be used to embolize these channels prior to injecting more viscous partially catalyzed PMMA, to help ensure intraosseous injection. As the goal of PMMA injection is to stabilize the existing fractured vertebral body height rather than restore the original height, complete filling of the vertebral body is almost never performed, and risks unnecessary extravasation and undesirable complications. 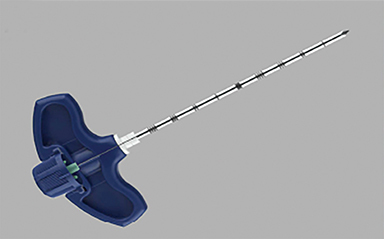 After injection, the introducer needle is carefully removed, taking care to avoid PMMA deposition in the extraosseous soft tissue needle track, and hemostasis is achieved with manual compression. 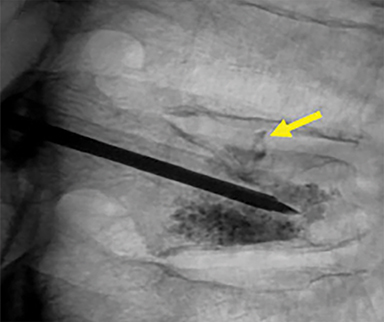 The patient is then observed in a post-procedural recovery setting with emphasis on monitoring vital signs, hemostasis of the needle tracks, and signs of complications (noted below). Though post-procedure recovery protocols vary, patients are typically transferred to a recovery unit and placed on 2 hours of strict bed rest in order to ensure clearance and metabolic reversal of the sedation and anesthesia administered during the procedure. During this time, the needle tract sites are inspected for hemostasis and the patient is educated regarding proper wound care over the next several days. Ambulation during this time is possible but discouraged due to the increased fall risk of these patients during the metabolic clearance of these pharmacologic agents. However, during this recovery period, the patient could ambulate if needed without risk of cement failure. After this two hour window, patients are discharged to home. If not already scheduled to do so, follow-up appointments are also made to see the patient’s primary care provider and spine specialist to better assess the long term efficacy of spinal augmentation. 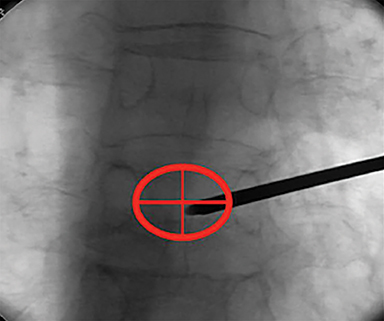 The majority of complications arising from vertebroplasty and related techniques are related to unintended cement placement along the needle trajectory tract or extravasation outside of the fractured vertebrae. 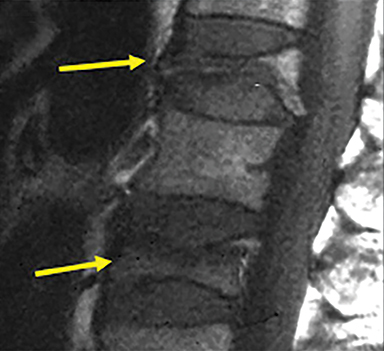 As spinal compression fractures are, by definition, associated with cortical compromise, the risk of extravasation is generally elevated as disruptions in the marrow cavity and overlying cortex provide a natural low-resistance outflow pathway for cement material, often flowing into the intervertebral disc space via the fractured endplate (Figure 12 A and B). 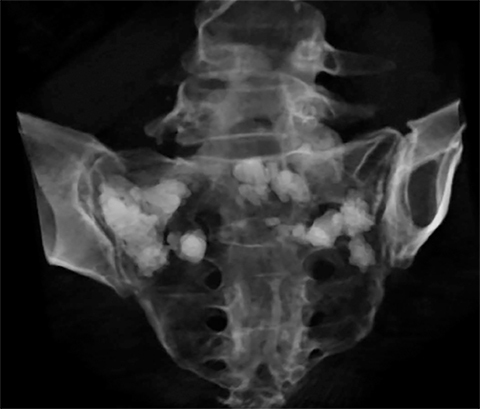 Indeed, the incidence of uncomplicated asymptomatic extravasation is relatively high, occurring as frequently as 20-30% in larger case series with lower rates in kyphoplasty owing to the use of an intraosseous balloon.19 In contrast, the symptomatic complication rate of vertebroplasty has been shown to be less than 1% and most commonly consists of minor complications such as rib fracture (0.6%), pedicle fracture (0.3%), isolated infection (0.6%), hemorrhage (1%), and temporary radicular pain.20 The more serious symptomatic complications are somewhat rare, occurring approximately 0.1% of the time, and are related to cement extravasation into the epidural space or anterior venous plexus (Figure 12 C and D).21 Extravasation into the epidural space is associated with increased morbidity from nerve root or spinal cord compression; and extravasation into the anterior venous plexus can be associated with increased risk of mortality in those rare cases where venous extravasation leads to significant embolization of cement into the pulmonary arteries.22 Fortunately, the incidence of these severe forms of extravasation can be diminished through use of multiplanar imaging, particularly during needle positioning and cement injection. In 2009, following the results of the two large randomized controlled trials of vertebroplasty that demonstrated some of the benefits of vertebroplasty are derived from placebo,23,24 national practice patterns substantially changed with decreases in referrals and increased utilization of conservative and pharmacologic therapy in the treatment of symptomatic VCFs.25 Notwithstanding, vertebroplasty continues to be offered to a high proportion of referred patients. Referrals continue, in part, because while these randomized trials do suggest some degree of “placebo efficacy,” post-procedural improvements in mobility and narcotic dependence are more difficult to reconcile with this notion and suggest multifactorial mechanisms of pain relief in vertebroplasty. Numerous studies have been completed in an attempt to define advantages for both kyphoplasty and vertebroplasty. Authors have cited greater height restoration with kyphoplasty, kyphosis reduction, and a lower complication rate. However, similar results have been defined in vertebroplasty.15,26-30 KAVIAR, a randomized trial comparing balloon kyphoplasty and vertebroplasty for VCFs was published in 2014.16 This trial compared the safety and efficacy of the two procedures. In the end, no significant differences were defined between kyphoplasty and vertebroplasty. Both procedures were shown to be effective. Procedure duration was shorter with vertebroplasty. 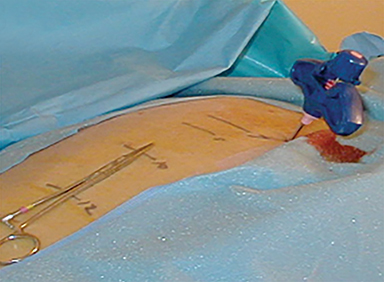 Kyphoplasty had fewer cement leakages and a trend toward longer fracture-free survival. Vertebral augmentation remains an active technique in medical practice for the treatment of painful compression fractures. Both vertebroplasty and kyphoplasty offer patient benefit and can be completed with low risk of significant complications in patients who have failed conservative management of their spinal compression fractures. The authors would like to thank Sonia Watson, PhD, for her editorial assistance and technical expertise. Nguyen ND, Ahlborg HG, Center JR, et al. Residual lifetime risk of fractures in women and men. J Bone Miner Res. 2007;22(6):781-788. McDonald RJ, Achenbach SJ, Atkinson EJ, et al. Mortality in the vertebroplasty population. AJNR Am J Neuroradiol. 2011;32(10):1818-1823.
Cooper C, Atkinson EJ, O’Fallon WM, et al. Incidence of clinically diagnosed vertebral fractures: a population-based study in Rochester, Minnesota, 1985-1989. J Bone Miner Res. 1992;7(2):221-227. Burge R, Dawson-Hughes B, Solomon DH, et al. Incidence and economic burden of osteoporosis-related fractures in the United States, 2005-2025. J Bone Miner Res. 2007;22(3):465-475. Gibson JE, Pilgram TK, Gilula LA. 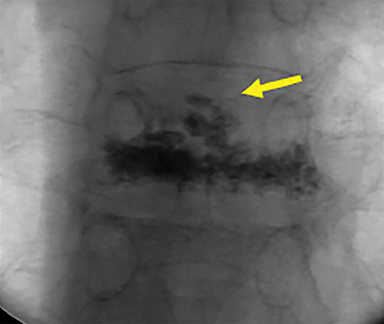 Response of nonmidline pain to percutaneous vertebroplasty. AJR Am J Roentgenol. 2006;187(4):869-872. Kallmes DF, Jensen ME. 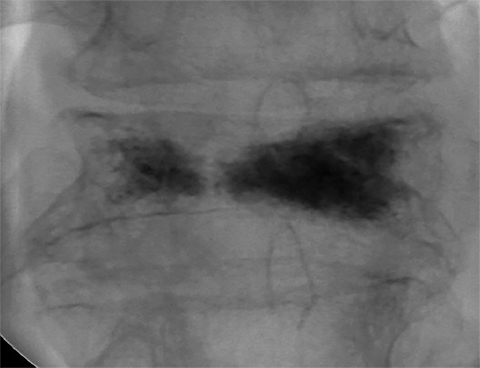 Percutaneous vertebroplasty. Radiology. 2003;229(1):27-36. Galibert P, Deramond H, Rosat P, et al. 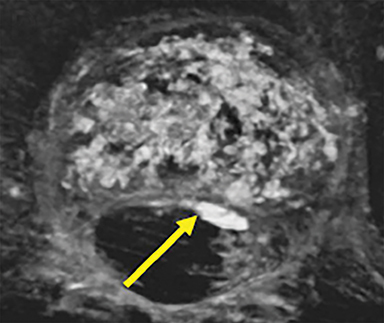 [Preliminary note on the treatment of vertebral angioma by percutaneous acrylic vertebroplasty]. Neurochirurgie. 1987;33(2):166-168. Debussche-Depriester C, Deramond H, Fardellone P, et al. 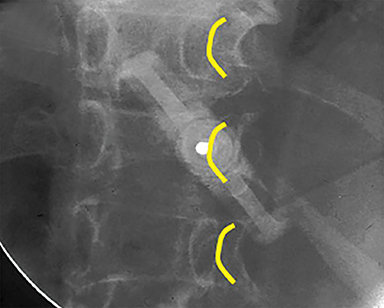 Percutaneous vertebroplasty with acrylic cement in the treatment of osteoporotic vertebral crush fracture syndrome. In: du Boulay G, Molyneux A, Moseley I, eds. Proceedings of the XIV Symposium Neuroradiologicum: London, 17–23 June 1990. Berlin: Springer; 1991:149-152. Pommersheim W, Huang-Hellinger F, Baker M, et al. Sacroplasty: a treatment for sacral insufficiency fractures. AJNR Am J Neuroradiol. 2003;24(5):1003-1007. Lieberman IH, Dudeney S, Reinhardt MK, et al. Initial outcome and efficacy of “kyphoplasty” in the treatment of painful osteoporotic vertebral compression fractures. Spine. 2001;26(14):1631-1638. Jensen ME, Evans AJ, Mathis JM, et al. Percutaneous polymethylmethacrylate vertebroplasty in the treatment of osteoporotic vertebral body compression fractures: technical aspects. AJNR Am J Neuroradiol. 1997;18(10):1897-1904. Olan WJ. 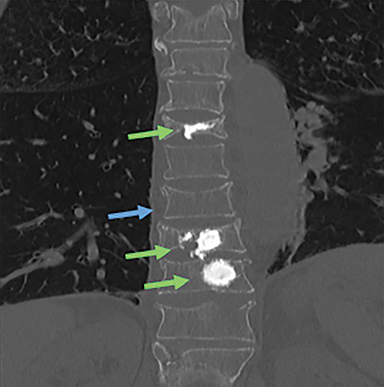 Kyphoplasty: Balloon-assisted vertebroplasty. ASNR Spine Symposium. 2002; 115-117. Coumans JV, Reinhardt MK, Lieberman IH. Kyphoplasty for vertebral compression fractures: 1-year clinical outcomes from a prospective study. J Neurosurg. 2003;99(1 Suppl):44-50. Theodorou DJ, Theodorou SJ, Duncan TD, et al. 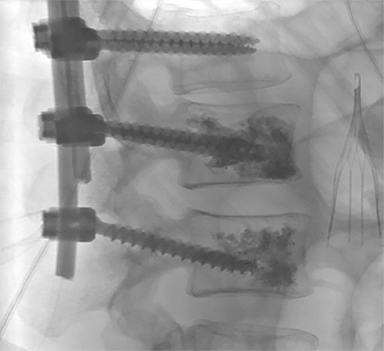 Percutaneous balloon kyphoplasty for the correction of spinal deformity in painful vertebral body compression fractures. Clin Imaging. 2002;26(1):1-5. Dohm M, Black CM, Dacre A, et al. A randomized trial comparing balloon kyphoplasty and vertebroplasty for vertebral compression fractures due to osteoporosis. AJNR Am J Neuroradiol. 2014;35(12):2227-2236. Garfin SR, Yuan HA, Reiley MA. New technologies in spine: kyphoplasty and vertebroplasty for the treatment of painful osteoporotic compression fractures. Spine. 2001;26(14):1511-1515. Hulme PA, Krebs J, Ferguson SJ, et al. Vertebroplasty and kyphoplasty: a systematic review of 69 clinical studies. Spine. 2006;31(17):1983-2001. McCall T, Cole C, Dailey A. Vertebroplasty and kyphoplasty: a comparative review of efficacy and adverse events. Curr Rev Musculoskelet Med. 2008;1(1):17-23. Saracen A, Kotwica Z. Complications of percutaneous vertebroplasty: An analysis of 1100 procedures performed in 616 patients. Medicine. 2016;95(24):e3850. Layton KF, Thielen KR, Koch CA, et al. Vertebroplasty, first 1000 levels of a single center: evaluation of the outcomes and complications. AJNR Am J Neuroradiol. 2007;28(4):683-689. Martin DJ, Rad AE, Kallmes DF. Prevalence of extravertebral cement leakage after vertebroplasty: procedural documentation versus CT detection. Acta Radiol. 2012;53(5):569-572. Kallmes DF, Comstock BA, Heagerty PJ, et al. A randomized trial of vertebroplasty for osteoporotic spinal fractures. N Engl J Med. 2009;361(6):569-579. Luetmer MT, Kallmes DF. Have referral patterns for vertebroplasty changed since publication of the placebo-controlled trials? AJNR Am J Neuroradiol. 2011;32(4):647-648. Hiwatashi A, Moritani T, Numaguchi Y, et al. Increase in vertebral body height after vertebroplasty. AJNR Am J Neuroradiol. 2003;24(2):185-189. Lieberman I, Reinhardt MK. Vertebroplasty and kyphoplasty for osteolytic vertebral collapse. Clin Orthop Relat Res. 2003:(415 Suppl)S176-186. Phillips FM, Ho E, Campbell-Hupp M, et al. Early radiographic and clinical results of balloon kyphoplasty for the treatment of osteoporotic vertebral compression fractures. Spine. 2003;28(19):2260-2265; discussion 2265-2267. Teng MM, Wei CJ, Wei LC, et al. Kyphosis correction and height restoration effects of percutaneous vertebroplasty. AJNR Am J Neuroradiol. 2003;24(9):1893-1900. Mathis JM, Ortiz AO, Zoarski GH. Vertebroplasty versus kyphoplasty: A comparison and contrast. AJNR Am J Neuroradiol. 2004;25(5):840-845. McDonald RJ, Lane JI, Diehn FE, Wald JT. 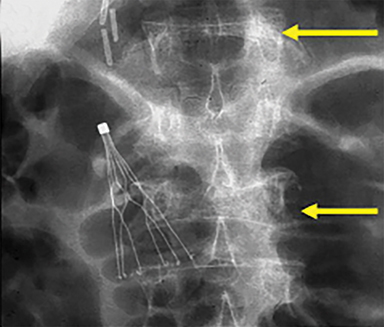 Percutaneous vertebroplasty: Overview, clinical applications, and current state. Appl Radiol. 2017;46(1):24-30. Dr. McDonald, Dr. Lane, Dr. Diehn, and Dr. Wald are Radiologists at the Mayo Clinic, Rochester, MN. All figures in this article are used with permission of the Mayo Foundation for Education and Research. All rights reserved.